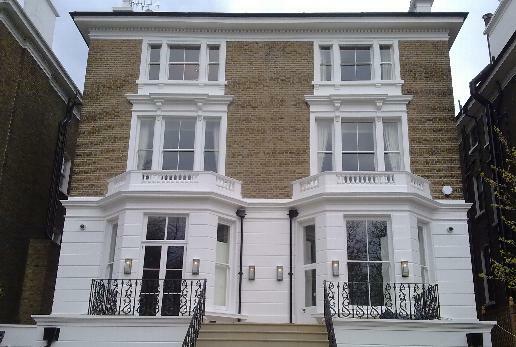 44 Phillimore Gardens, Kensington W8. This project is in one of London’s most sought after and prestigious locations. 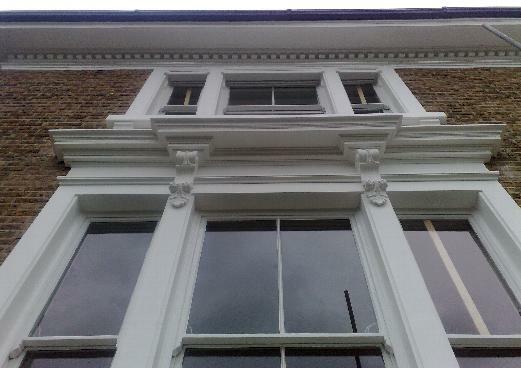 We have replaced entire left hand side of the rear elevation with cast in situ moldings and reconstituted stone units to match those of the remaining stucco profiles. We have also carried out extensive sympathetic repairs to many of the other stucco areas around the building. Various other stone elements of this massive refurbishment have been carried out by us, the main aim to produce a stucco looking effect using reconstituted stone.